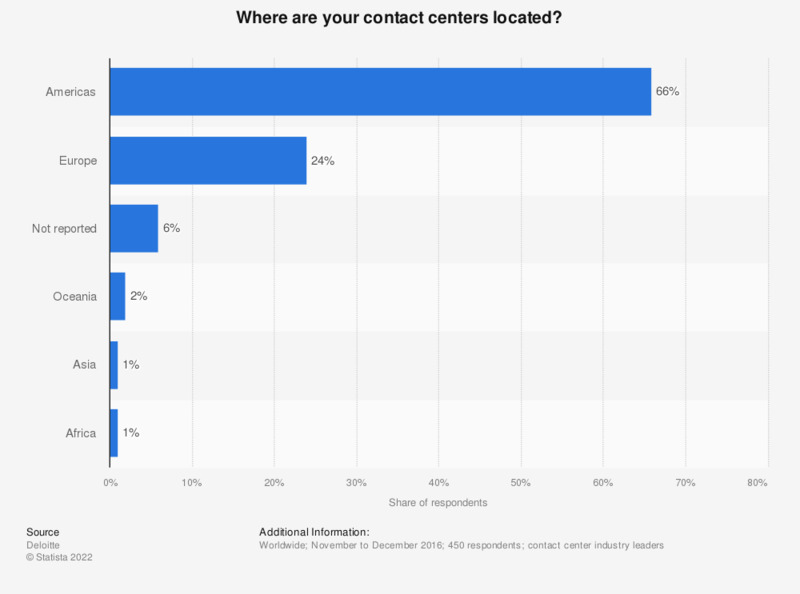 This statistic shows the geographical distribution of contact centers worldwide as of December 2016. During the survey, 24 percent of contact center industry leaders said their organization was located in Europe. The source does not specify a type of survey or age of the respondents. How have you communicated with businesses in the past 12 months? How many times do you typically need to engage with a company on the following channels before a customer service issue or inquiry is resolved?